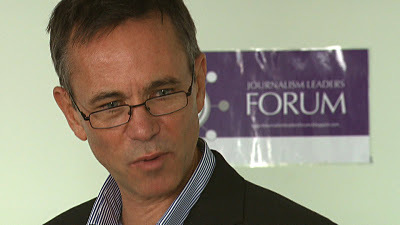 François Nel, founding director of the Journalism Leaders Programme at the University of Central Lancashire, has secured £64,000 funding to establish the Media and Digital Enterprise (MADE) which will “equip digital innovators with the cutting-edge knowledge and skills required to start up and sustain innovative new journalistic enterprises in the public interest”. The project is one of three winners of the inaugural International Press Institute’s News Innovation Contest, funded from a grant by Google. Over the course of the next year, the MADE project will, in the first instance, offer up to 60 news entrepreneurs training in data-driven journalism, online community engagement and digital business development. Finally, the experiences of the project participants will be shared through detailed case study reports and presentations at Digital Editors Network networking events. François has outlined the aims of the project over on the Digital Editors’ Network blog. François is also a doctoral research student here at City University London and supervised by CLJJ director, Professor Howard Tumber. His research considers issues that arise in the space where journalism, leadership and technology intersect.